Councils pitching for control of buses in the North East are “sleepwalking” into financial danger, Stagecoach claims, as an analysis reveals an extra £51m is needed to protect the public purse. The North East Combined Authority is asking to run a Quality Contract Scheme (QCS) for the Tyne and Wear area, which would give local authorities power over routes and timetables, and put them in charge of contracting services to private companies. Chiefs had set aside £79m to guard against the risk of any steep fall in passenger numbers over the first decade of its operation, should an independent QCS board OK the scheme, but fresh financial modelling from Stagecoach estimates £130m may be needed to plug the gap. Stagecoach, which fiercely opposes the QCS and whose profits may be hit under it, says to reach an 84% chance of there will be no loss of public funds £130m is needed in reserves, whereas the £79m NECA has set aside only allows for a 69% chance, and, Stagecoach claims, this presents “huge financial risk” for public funds. NECA transport chief Tobyn Hughes, who at the QCS board hearing last month admitted sleepless nights over the scheme, said the financial buffer would hold. It was revealed that devolving the key airport levy Air Passenger Duty to the NECA, would blow a £45m hole in council finances, raise further questions about the bills the region may have to foot in the wake of a devolution deal. A Stagecoach Group spokesman said: “Even on Nexus’ own numbers, there is no business case for bus franchising in Tyne and Wear. It is fraught with huge financial risk and bus operators’ plans to develop the already strong network clearly offer better outcomes and better value for money. “But Tyne and Wear also puts a huge question mark over the transport elements of the government’s devolution programme. It is the only fully costed proposal for bus franchising outside London which has been subject to any kind of independent analysis. All of the evidence points to bus franchising costing the public purse more at a time when public spending is shrinking and the Chancellor has called for further cuts of 25% or even 40%. Under the plan, councils would take control of routes, timetables and contract services to private companies. An Oyster card-style system, as used in London, would also be introduced. 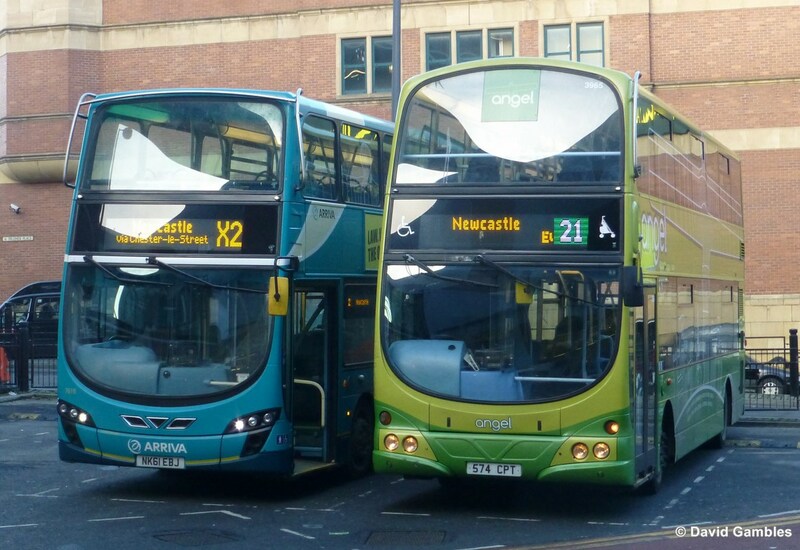 Mr Hughes said: “Nexus has prepared its case for bus franchising in Tyne and Wear and witnesses from Nexus and other bodies have been cross-examined before the QCS Board over two weeks. We await the Board’s opinion which is due at the end of October, after which the Combined Authority will consider what steps to take next.